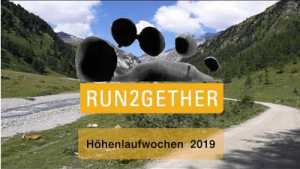 The run2gether club, is a non-acquisitive one and aims at cultivating and promoting both running as a sport and the exchange between Kenyan and Austrian sportsmen and -women. This website uses Google Analytics, a web analytics service by Google Inc. (“Google”). Google Analytics employs so called “cookies”, which are text files that are saved on your computer and allow analysis of your use of this web site. The obtained information about your use of this website are normally sent to Google in the US and saved there. If this website activates the process of anonymisation of IP-addresses, Google will, within the member states of the EU or in other member states of the EEA Agreement, shorten your IP-address. Only in exceptional cases will your whole IP-address be transferred to a Google server in the US and shortened there. Under the authority of the provider of this website Google will use this information to firstly evaluate your usage of the website, secondly to assemble reports about the website activities and finally to provide further services, linked to the website- and Internet usage, to the provider. The IP-address transferred from your browser within Google Analytics will not be fused with other Google data. You can prevent the cookies being saved on your computer by adjusting your browser software accordingly; Please note that in that case you may possibly not be able to use all functions of the website to their full extent. In addition you can prevent the transfer of the data produced by the cookies and your website usage (including your IP-address) to Google and their being processed by Google by downloading and installing the browser-plugin available under the following link.